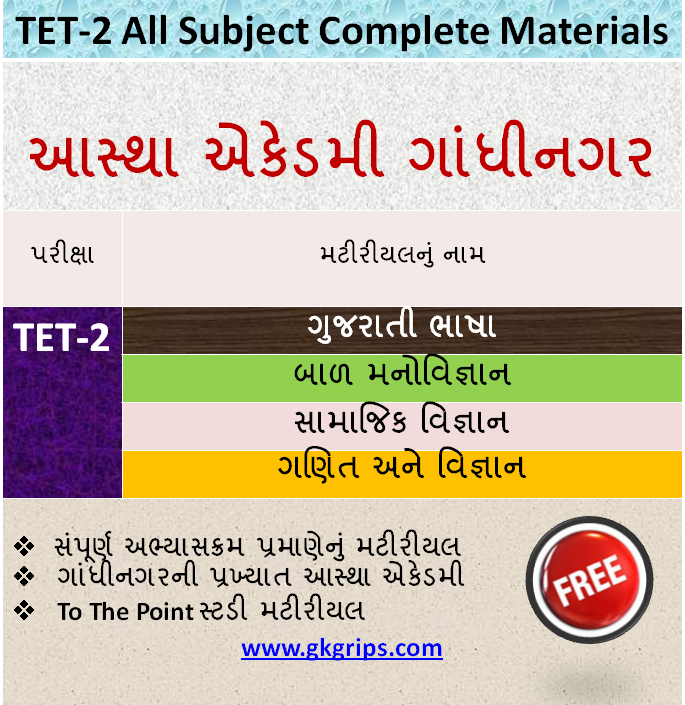 Gkgrips Published a TET-2 Language New Study Materials .Tet-2 Free Latest History And Indian Constitution Study Materials in Gujarati. Gkgrips.com Provide a Latest Online Mock Test & Latest Study Materials For All Gujarat Government Exam, So Visit www.gkgrips.comWebsite.In This Model Papers All Syllabus Topics Are Include Like A Gujarat, Indian, Sports, Current Affairs, Social Science Etc. Gkgrips Provide a Latest Study Materials As Well As Daily Current Affairs, Model Papers, Daily 25 Marks Test Papers, Daily Gk Pages.